1.rizman.net: Harga minyak turun lagi, barang bila nak turun? Liat! Harga minyak turun lagi, barang bila nak turun? Liat! 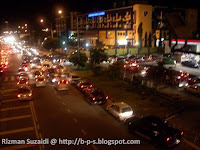 Malaysian petrol and diesel price are control by the government. 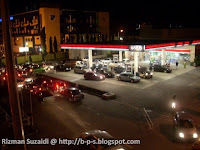 For this time government has reduce RON 97 (unleaded) petrol price from RM 2.55 to RM 2.45 per litre, a reduction on 10sen per litre. 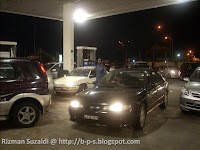 Last month govt reduce petrol price by 15sen. I am expecting a reduction of 20 sen or more since, the oil price has gone sharply doen, recently. 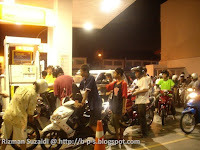 Instead rakyat just got 10 sen 'back' for every litre of petrol. With the reduction, it has been a month since last month (the first reduction after 41% hike in June). But still there is no sign of harga barang is going to turun. Still, 10 sen is not enough. It is suppose to be 20 sen. In my oppinion, if that 10 sen is there to stay, then 'harga barang runcit' should be enforce to be reduce by the government. With the reduction of of total 25sen, what do consumer get (instead of cheaper petrol)? Students, people are still going to pay 30% surcharge on express bus tickets. Beras STS 15 still RM14 at 5kg. Like BERNAMA says, Naik Cepat, Nak turun liat.